Whether you’re traveling for business or pleasure, a seductive spa provides a peaceful place to rest and recharge. The following three member favorites also establish a sense of place by employing local products and drawing on ancestral themes. Massage is an integral part of life in Thailand, but it’s unlikely that any place in the world rivals the Mandarin Oriental Bangkok. 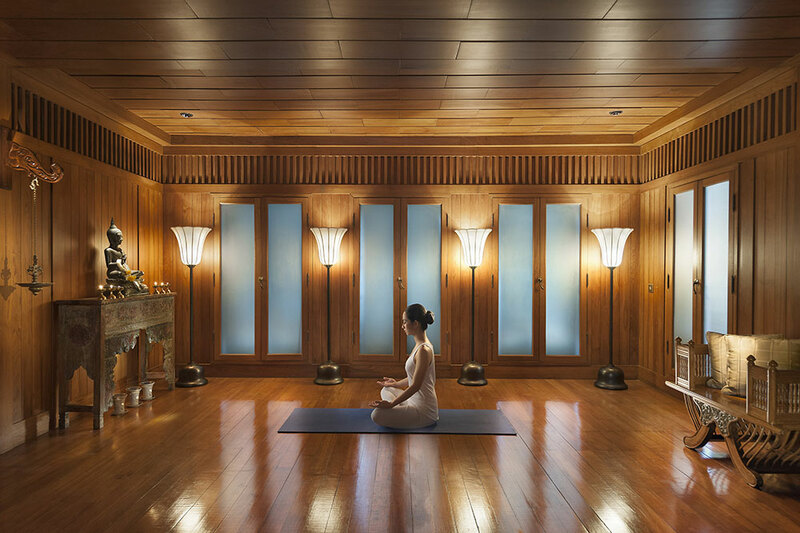 The spa experience here begins with a boat ride across the Chao Phraya River to “your temple of well-being,” a Zen-like space in a restored 19th-century teakwood house. Guests are greeted with tea before the tailored treatments begin and a blissful sense of tranquility and calm takes over. The spa facilities include 10 treatment rooms with private showers and steam rooms, three treatment rooms dedicated to facial therapy, four spa suites with private vitality pools and a relaxation lounge. Most imaginative treatment: the two-hour Digital Wellness Escape, which focuses on head, eyes, neck and shoulders. Mesmerizing views of Victoria Harbour provide a backdrop to the spa at the Peninsula Hong Kong. This 12,000-square-foot oasis features an East-meets-West spectrum of treatments that range from energy-balancing massages to noninvasive body-contouring methods. The relaxation rooms come with hammam-style steam rooms, saunas and aromatherapy showers. And the “spa within a spa” allows for private massage-whirlpool experiences that are perfect for couples. 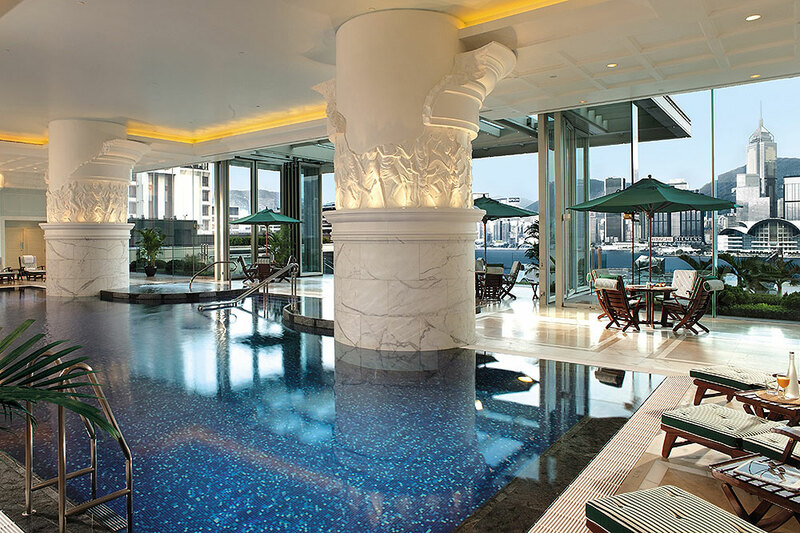 The lavish Roman-inspired pool, available to all spa-goers, looks across to the dramatic skyline of Hong Kong Island. 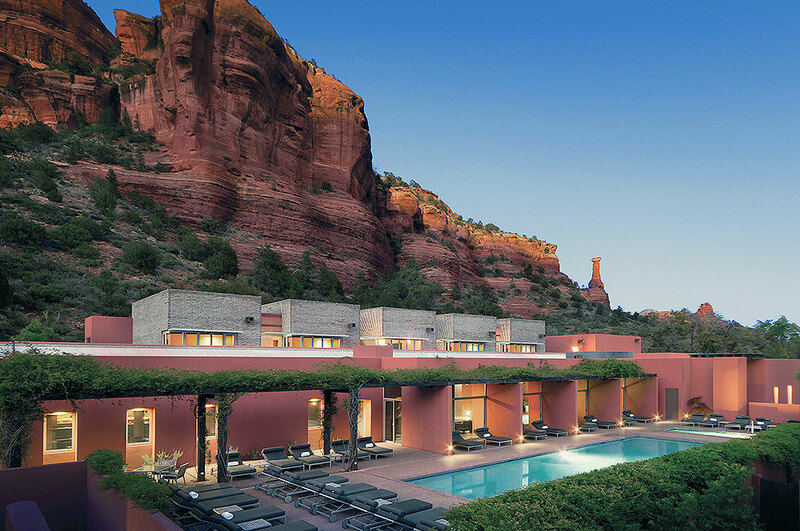 Mii Amo, a “destination spa,” is a big draw at Enchantment Resort, a 218-room retreat set amid Sedona’s vibrant red rock canyons. Attracting world-class mind and body practitioners, the spa offers 65 individual healing treatments, from conventional to more esoteric therapies, like aura reading, energy clearing, reiki attunement, past-life regression and hypnosis. Guests who opt for an all-inclusive “journey package” can stay in one of the spa’s 16 rooms, enjoy three healthy meals a day at the café and have two daily body treatments. Built from red adobe, the 24,000-square-foot facility focuses on natural light and water and includes a kiva-inspired Crystal Grotto, an outdoor lap pool, fireplace lounge, steam rooms, sauna and whirlpool.